The Sleep Easy sound conditioner creates natural white noise to help you drift off to sleep, while it masks any annoying background noises. With the Sleep Easy you have an ideal environment to sleep and it is perfect for shift workers, parents, office works, students, children and babies. What does the Sleep Easy sound conditioner do? If you have problems sleeping because of annoying background noises – dogs barking, neighbors arguing, your partner snoring or traffic outside, then the Sleep Easy is the perfect sound machine to block out all of those noises. Block out sounds from noisy neighbors. Stop your dog from barking at every noise outside. 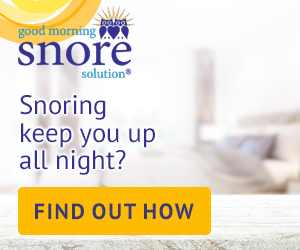 Mask snoring from your partner or from the next room. Help reduce noises from road traffic, aircraft flying overhead and trains. Let’s you ignore people laughing outside when they are leaving restaurants or clubs. Great to help children to sleep through the night. 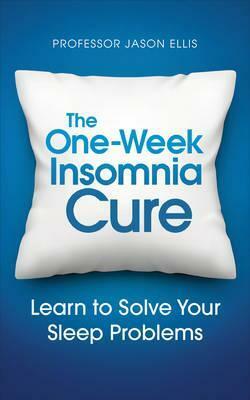 Helps you to fall asleep and stay asleep, every night. Perfect to block out annoying noises at work. Masks chitter chatter in offices. Great to help focus when you are studying. Wonderful for shift workers trying to sleep during the day. Masks conversations and ensures privacy. The Sleep Easy is essentially a white noise generator, because it does not play natural sounds at all. Many people love to fall asleep to the sounds of white noise and it is also perfect for helping students and office workers to focus, as well as babies to sleep at any time. Plays natural whit e noise, masking annoying background noises. The sound is similar to air moving or a fan blowing. Fully adjustable tone and volume. Easy to use, just plug it in and you are ready to sleep. There is no timer with the Sleep Easy, you just leave it on all night. The white noise is created by an electric motor and is not electronically created. It does not have a headphone jack (see the Sound Oasis if this is important). Size is 6.3”x6.3”x6.4”, weight 1.2 pounds. 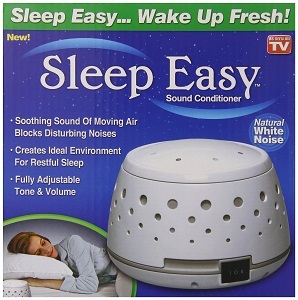 Why is the Sleep Easy Sound Conditioner so popular? Some people have trouble falling asleep and others have trouble staying asleep. 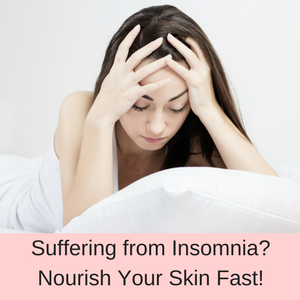 Lying awake for ages trying to go to sleep or waking during the night and not being able to return to sleep are both frustrating problems, which can lead to serious long term health problems. Medical professionals believe that adults need between 7 to 9 hours of uninterrupted sleep each night, babies around 16 to 18 hours, toddlers and preschoolers 10 to 12 hours and older children approximately 9 hours each night. The Sleep Easy masks all of those the sounds that wake you from a deep sleep and also helps you to relax, so you fall asleep quicker. The masking effect of white noise is also great for helping students to focus on their studies or go to sleep at night, when they are stressed out about their exams. 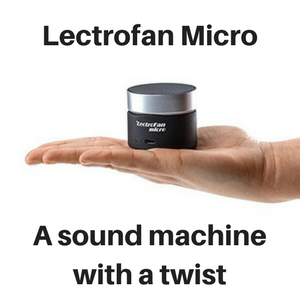 Also, office workers who can’t focus at work because of all the chitter-chatter in the room (especially open plan offices) and even people suffering from tinnitus – say that these white noise generators help them to drift off to sleep. 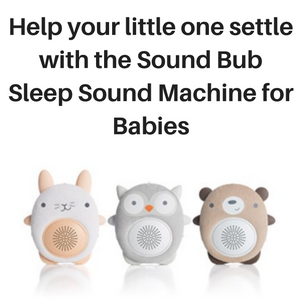 The Sleep Easy sound machine works so well because it creates natural white noise, which sounds like air moving, a fan blowing or an air conditioner and helps you to fall asleep and stay asleep. It does this by masking any background noises that might stimulate your brain and either keep you awake or wake you from a deep sleep. The sound from white noise has been likened to a hissing, static or humming noise, but it really depends on the frequencies which are given emphasis by the sound machine. With the Sleep Easy, you can create deeper or higher frequency sounds, just by altering the tone and volume on the sound conditioner, customizing the white noise to your own preferences. Some people absolutely love white noise and would never use any other type of sound machine. Others prefer the sounds of nature, such as a waterfall, rainfall, ocean surf, thunder or a babbling brook. 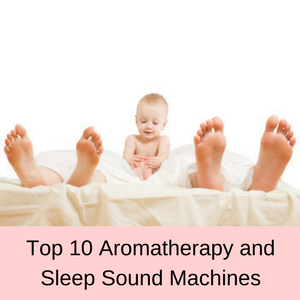 If you would prefer these natural sounds as well, then the Sleep Easy is most probably not for you and you would be much better reading some of my other reviews – check out the Sound Oasis sound machine for travelers and the Welledia aromatherapy diffuser and sound machine for something a little different. 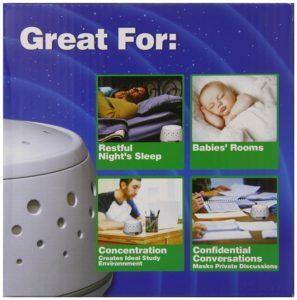 What are customers saying about the Sleep Easy sound machine? 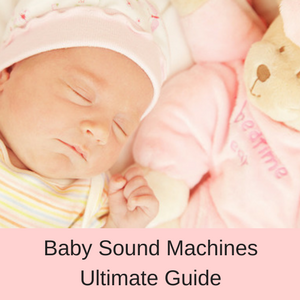 With more than 3500 customer reviews on Amazon, you know that this is a good value sound machine. Customers love how the Sleep Easy masks annoying noises in the bedroom ad helps both them and their children sleep soundly during the night. The sound it makes is very soothing and it almost engulfs the room. You feel like you are in a wind tunnel-a quiet soothing one :). My family loves it and the price is great too, would recommend. 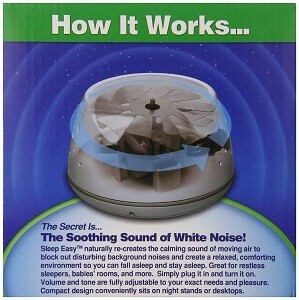 Best white noise machine I’ve purchased thus far. I love how many ways you can customize the sound. Very comforting and beneficial to those of us who need white noise to sleep but don’t necessarily want a fan blowing in the room. I bought this because I’m in college and live with a roommate who is so noisy! In addition I live right next to train tracks with trains that roll by in the early AMs. I love this so much that I pack it with me when I am traveling. This is a very simple machine that only plays white noise, effectively blocking out unwanted background noises that keep you from falling asleep or staying asleep. 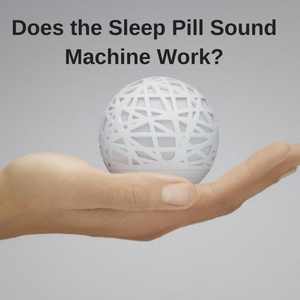 It has a fully adjustable tone and volume (which is important) and the white noise is created using an electric motor (like the Marpac DOHM), so it is not digitally created. 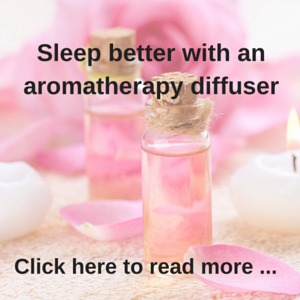 This gives you a more authentic and natural sound that helps you to relax and sleep well. There is no timer switch so it is either on or off with the Sleep Easy Sound Conditioner. Also it does not run on batteries, so is no good to take camping, but it is light enough to take away on holidays with you. Lastly, the Sleep Easy does not have a headphone jack, so you can’t use it privately to study or at work to mask office noises (unless everyone is happy to listen to your white noise). Final Verdict: Is the Sleep Easy sound conditioner worth it? The Sleep Easy is a white noise machine that uses an electric motor to mask annoying sounds so you can drift off to sleep or focus on your work much better. It operates on mains power only (not batteries) and is great for shift workers, insomniacs, children, office workers, students and for maintaining your privacy. Apart from having no timer button, this is a full function sound machine that is well liked by customers. This sound conditioner is extremely affordable, so if you only have a small budget, then this might be your best option. Q. Can you adjust the volume of this machine? A. Yes, you can easily adjust both the volume and tone. Q. Does the Sleep Easy have a timer? A. No, just an on/off switch. 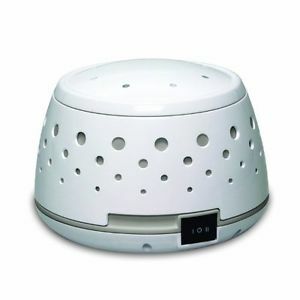 Read my Marpac DOHM review here.